Happy Blood Pressure Awareness Day everyone! Supported by The Irish Heart Foundation, RTE’s Operation Transformation is attempting to generate awareness of the importance of maintaining a healthy blood pressure. Check out http://www.irishheart.ie for more information and to be in with a chance to win a Blood Pressure Monitor. You can also avail of free blood pressure measuring at any of our branches nationwide. When I wrote on Tuesday, the buzz was all about Operation Transformation. I hope you all watched as Sarah was faced with some very tough facts about smoking. As I write today, it’s all about the E-Cigarette. Did you watch Monday’s episode of Prime Time? 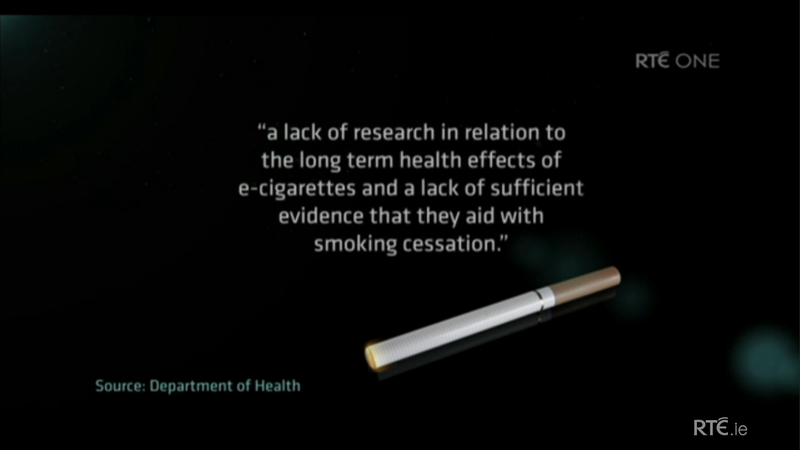 It mirrored debate a lot of us have been having here about this new option to aid quitting smoking. Check out the link below to watch this episode on the RTE Player; the e-cigarette segment starts at 13 minutes in. A lot of our customers wonder why we as a pharmacy don’t stock any of these products. As outlined in the Prime Time segment, these products are as yet unlicensed, unregulated and unproven. We are bound by our regulators to stock only proven and licensed products. After watching the debate on Monday from my personal perspective, the products do seem like a very healthy alternative to smoking, of course. The trouble for me is I’m trying to free myself of addiction, not create another one! This is why I’m avoiding the e-cigarette for now. So back to the business of quitting… I’m doing really well this week, after having survived 2 nights out as a non smoker. Now, I have been allowing myself to indulge my food cravings (which I think are more out of boredom than real desire) but I’m calling a halt to that next week. What I’m attempting to do now is Find My Exercise!! And I welcome any suggestions! It’s so important to increase your level of physical activity in conjunction with giving up smoking. Trouble is, I HATE exercising! I’ve committed to a big long walk every weekend with some friends, which I know I will enjoy. And I’m currently researching dance classes and other more exciting things other than running, cycling and walking. Tune in next week to see what I end up trying! 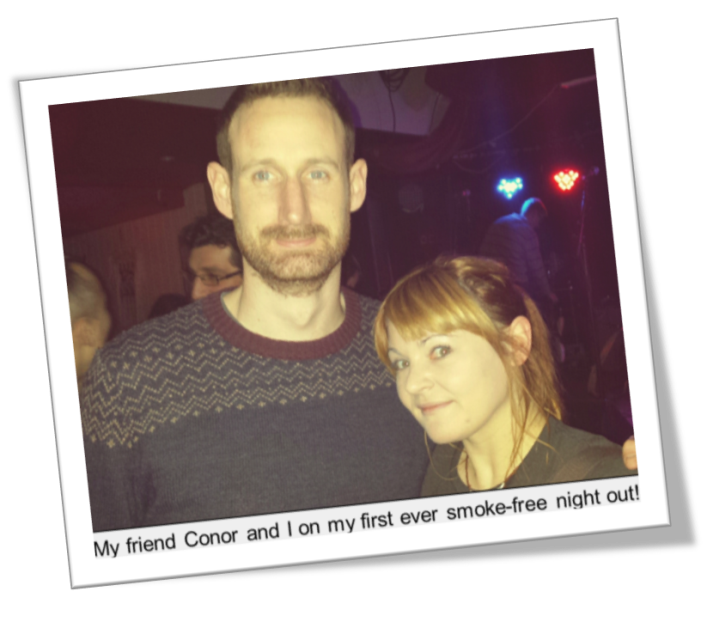 Blog # 2 – When Smokers meet the Devil! So how long did it last? Well… about five days if truth be told. I should have known that a drink would be the undoing of me; and it was! As I blogged last week I’d been enjoying feeling healthy, saving money and taking the high moral ground when talking about smoking. “Smoke? Me? Nope – I’m off them. Feeling great!” Even when meeting up with friends who are smokers, the urge to have a quick smoke with them never entered my mind. A big challenge was last Friday evening when I went out to a bar with a large group of people that I do not really know. I managed to avoid alcohol and cigarettes, although it was a real struggle and as I was out of my comfort zone it took a real effort to resist. Then on Saturday night the whole clean-living buzz wore off. My girlfriend and I decided to have a tapas cook-off and opened a bottle of wine. After an awesome meal and some great wine, I caved. This was much to the disappointment of my girlfriend who is also (more successfully) kicking the habit. What reason? Well if I’m honest, it was simply because I felt like one and had a bit of badness in me. ‘What doesn’t kill you makes you stronger.’ Cigarettes do kill you and certainly don’t make you stronger so since my slip-up I’ve been conscious that I let myself down and haven’t touched them. I haven’t had any alcohol and haven’t for a second felt an urge to spark up. 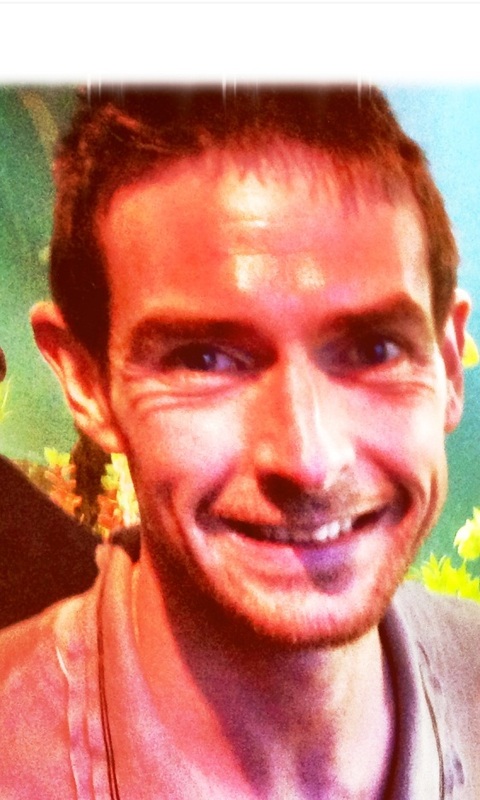 On Monday, I forgot to put a nicotine patch on before I went to work and by mid-day I realised that I was being unreasonably narky. It’s funny the way the habit can be broken but your body still tells you that it wants something. This manifests itself in my case through being a grump. All is fine though provided I remain patched-up. It looks like I’m switching addictions from cigarettes to patches. I guess this is ok though as it doesn’t affect your lungs. I believe the key with patches is to wean yourself off them – so that will be my goal over the next few weeks. Good luck to all the other quitters out there! I really am loving the honesty of these updates. I hope our readers do too – please let us know. I keep saying it but it’s so true: it may take multiple attempts to free yourself from smoking but this can’t discourage you from trying again. The minute you stop each time, you become a non-smoker again. Keep the faith! We’re back on Saturday with more from our bloggers. Keep the feedback coming!